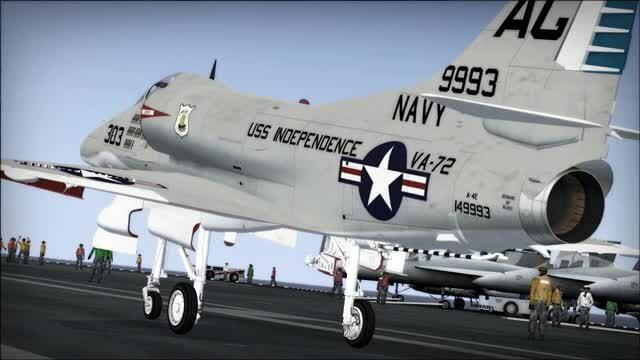 Virtavia's A-4 Skyhawk model for Microsoft Flight Simulator X. Conceived as a jet-powered replacement for the A-1J Skyraider, Ed Heinemann's design became unboubtedly one of the most successful aircraft ever built. The small and simple approach produced and highly agile and durable machine. View the Skyhawk over at SimShack.